While our attempts went unheeded by the spirits, this is not always the case. In 1897, a grieving mother successfully summoned the ghost of her dead daughter who would reveal her untimely death was not from natural causes and point her finger at a cold-blooded murderer. Not much is known about Elva Zona Heaster before her death in 1897. We know she was born around 1873 in Greenbrier County, West Virginia. When she was around 22, in 1895, Elva gave birth to a child. Becoming an unwed mother would have been a terrifying proposition for the young woman. To retain some level of respectability in the community, she would have needed to marry the father of the child. In Elva’s case, this did not happen, so she may have considered herself lucky when in October of 1896 she met Erasmus Stribbling Trout Shue. Sometimes called Edward or Trout, Mr. Shue had only recently moved to the Greenbrier area. A drifter, Trout Shue had come to start a new life for himself and began working for James Crookshanks, a local blacksmith. At the time, this would have been a solid career choice. None of the public roads had yet been paved, so there was plenty of work for a blacksmith in the rolling hills of Appalachia. It was a nearly immediate attraction. Mr. Shue did not seem to mind that Elva had a child out of wedlock, although his exact thoughts on the matter were never made public. We can assume this to be true, because sometime after meeting, the two moved in together and lived as husband and wife - despite Elva’s mother, Mrs. Mary Jane Robinson Heaster, being staunchly against the union. Perhaps it was a mother’s intuition, but the elder Heaster had an instant dislike for Trout Shue and did not trust him, especially after learning that Mr. Shue had already been married twice before. If this story teaches us anything, perhaps it is to trust the gut feelings of our mothers. 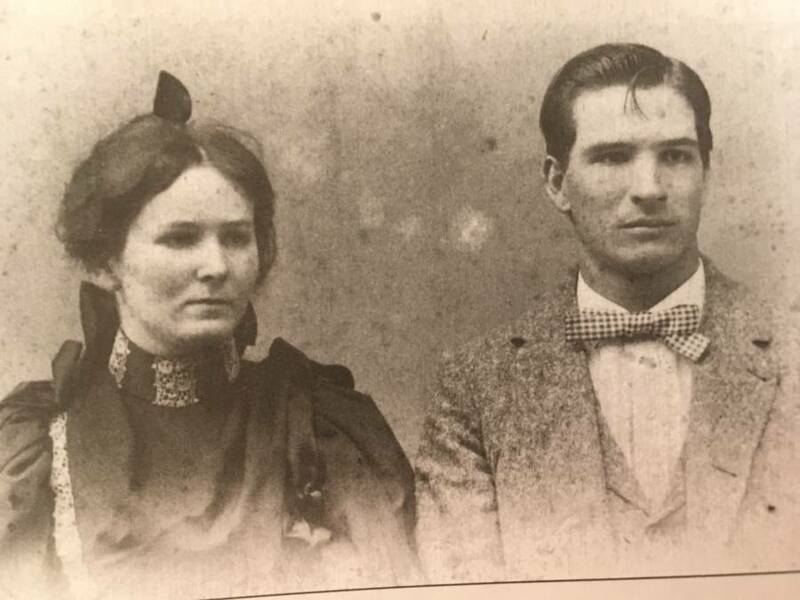 Much to Mary Jane’s displeasure, however, her daughter did not listen, and the two were quickly wed.
Several months after the wedding, on January 23, 1897, Trout Shue was hard at work in Mr. Crookshank’s blacksmith shop. Taking a break, Trout walked to the home of a woman living nearby to ask if her son could run a quick errand. It seemed Mr. Shue had forgotten to ask his wife if she needed anything from the store before he left for work that morning, and he wondered if Mrs. Jones would send her son to ask. She obliged and young Andy Jones made the trip to the Shue residence. When little Andy Jones entered the house, he was shocked to see Elva Shue’s body lying at the bottom of the stairs, stretched out with her feet together. One hand lay across her abdomen, the other rested beside her. Her head was turned slightly to one side, her eyes, wide open, staring into eternity. Andy Jones did as any child would, and dashed back to his mother to tell her what he had discovered. Mr. Shue rushed home, and presumably, Mrs. Jones and her son sent word to Elva’s doctor, who was also the county coroner, Dr. George W. Knapp. It took Dr. Knapp nearly an hour to arrive at the Shue residence. When he arrived, he discovered that Mr. Shue had taken the liberty of moving his late wife’s body from where she was found to their bed upstairs. Mr. Shue had also broken with the local custom of allowing the women of the community to bathe and dress the young woman's body for her journey to the afterlife and had dressed her himself. Elva lay on her bed, eyes closed, in her best dress - a stiff, high-collared dress with a black veil across her face. Dr. Knapp began his examination, but his ability to thoroughly examine Elva was made difficult due to the level of grief that Mr. Shue was expressing. Although some bruising was briefly seen about her neck, Mr. Shue was cradling Elva’s head, rocking back and forth, sobbing from grief. Dr. Knapp attempted to examine Elva a bit closer, but Trout responded violently, pushing the doctor away. He attributed the response to being grief-stricken and left Mr. Shue to mourn. The cause of death was initially listed as “everlasting faint” (the term used in that time for a heart attack) but was changed to childbirth at some point later. The next day, Saturday, January 24, Trout Shue accompanied the body of his wife on the long carriage ride out to her parent's farm. During the funeral, Mr. Shue’s apparent grief manifested into bizarre and erratic behavior. He paced restlessly back and forth, continually paying attention to Elva’s head and neck; covering her head with a scarf (which was noted not to match the dress) and propping her neck up with a pillow on one side and a piece of rolled cloth on the other. He would also not allow anyone to get close to the coffin. Everyone wrote off Trout Shue's behavior as him being simply grief-stricken as a result of losing his wife; everyone, that is, except for Elva’s mother, Mary Jane Heaster. Mary Jane’s suspicion of Trout Shue only grew after she removed the sheet he had placed in the coffin. When Mr. Shue refused to take the sheet, Mary Jane began folding it to bring it home with her. She noticed a strange odor emanating from the sheet and decided it would be best to wash it before putting it away. According to Mary Jane, when she dropped the sheet into a wash basin the water inside turned red. Then, the sheet turned pink, and the color in the water vanished. Mary Jane boiled the sheet, but she could not get the stain out. She interpreted the eerie “bloodstains” as a sign that her daughter had been murdered. If only Elva could tell her what had happened, she thought. So, every night she prayed. She prayed for her daughter to return to her, to reveal the truth about her death, a truth only she knew. After four weeks of constant praying, Mary Jane Heaster claims her daughter appeared to her in a dream four nights in a row to tell her story. Allegedly, the spirit appeared first as a bright light and gradually changed into the form of her daughter. The apparition of Elva told her mother that Trout Shue had been horribly abusive towards her during the short time they were married, and on the night she died, Shue had become enraged when he thought she had not cooked meat for his dinner. It was in this rage that Trout Shue had broken her neck, an act the ghost demonstrated by turning her head completely around. Then, Mary Jane claimed, the ghost turned around and walked away, staring back towards her mother with a head facing the wrong way. Now firmly convinced that Shue had indeed killed her daughter, Mary Jane went to see the county prosecutor, John Alfred Preston, and spent the better part of the afternoon trying to get him to reopen the case. We don’t know to what extent John Preston believed Mary Jane Heaster, but by all accounts, Mr. Preston was both polite and sympathetic towards Mrs. Heaster’s request to reopen the case. After several hours, Mr. Preston had agreed to send deputies to question Dr. Knapp (the coroner) and other parties involved with the Shue death. It seems unlikely that Mr. Preston would reopen a case based on the testimony of a ghost visiting a grieving mother, but after speaking with Dr. Knapp, who admitted his investigation was incomplete due to the aggressive behavior from Trout Shue the day she died, they decided the best way to silence the rumors spreading through town and to answer any pending questions was to autopsy Elva Shue. So, on February 22, 1897, the children attending class at the Nickell School House were sent home early and their classroom temporarily transformed into an examination room. Dr. Knapp and two other attending doctors performed the examination, observed by a jury of five men, Andy Jones (the boy who had discovered the body) and Trout Shue, as well as spectators curious about the inquest. The autopsy lasted three hours. The body was nearly perfectly preserved thanks to the cold weather in West Virginia. The local newspaper, the Pocahontas Times reported that "...fingerprints on the throat were the marks of fingers indicating that she had been choken [sic], that the neck was dislocated between the first and second vertebrae. The ligaments were torn and ruptured. The windpipe had been crushed at a point in front of the neck." It was now clear that Mrs. Elva Shue had not died from complications due to pregnancy, or any other natural cause. It may seem odd that the broken neck had not been discovered earlier, but even today, doctors will tell you it is a tough break to detect. The human head is fairly heavy, and without the muscles activating to keep it upright, it tends to flop around quite a bit, making a break challenging to notice. The break was also between the first and second vertebrae, which are located under the skull, making it even more challenging to detect, especially for a rural doctor in the late 1800’s. While the autopsy had shown how Elva Shue had died, it did not reveal who had committed the act. Mr. Preston, the local prosecutor, certainly had some questions. How did Mrs. Heaster know precisely how Elva had died? Had Elva’s ghost indeed visited her mother or had Mrs. Heaster killed her own daughter, then contrived an elaborate story to implicate Trout Shue? It seemed a possibility, but there was also Mr. Shue’s strange behavior after his wife’s death that was sticking in his mind. So Mr. Preston decided to do some more investigation into Trout Shue’s past, specifically his two previous marriages. Mr. Shue’s marriage to his first wife, Allie Estelline Cutlip, had produced one child but ended in divorce in 1889. Ms. Cutlip told Preston that Shue had been extremely violent while they were married and had beaten her frequently, which was why she divorced him when he went to jail for horse-theft. While he was in prison he boasted to his cellmates that he planned to marry seven women in his lifetime. Unfortunately, Preston could not question Mr. Shue’s second wife, Lucy Ann Tritt, whom he married in 1894, as she had died mysteriously eight months into their marriage. Shue claimed that Lucy had fallen and hit her head on a rock, but not many believed him. This incident apparently being the motivation for moving to Greenbrier, where he soon met Elva. While all the evidence against Shue was circumstantial at best, the town's concerns and Shue's questionable past and odd behavior at the funeral were enough for Preston to bring him to trial. Elva Shue’s mother, Mary Jane Heaster, was the star witness for the prosecution, but Preston was concerned about entering testimony about a ghost into the record. 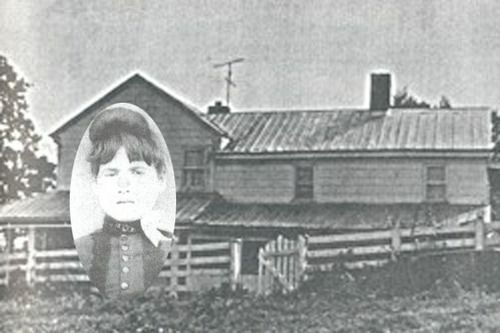 Since Elva Shue was not available to be questioned, any evidence regarding her statements as a ghost would be deemed hearsay and not admissible into the trial. Then, there was also the concern that Mrs. Heaster may seem an irrational and unreliable witness to the jury if she began to talk about spirits from the witness stand. So Preston decided to skirt the issue. Mrs. Heaster looking unreliable was the hope of the defense attorney, however, who decided to extensively question her regarding her ghostly visit. The attorney attempted to characterize her "visions" as a mother’s ravings and worked hard to get her to admit that she might have been mistaken about what she allegedly saw. Mrs. Heaster did not budge in her accounts, however, and never wavered from her original story. Mr. Shue also testified in his own defense. The Greenbrier Independent reported that Mr. Shue’s testimony, manner, and so forth, made an unfavorable impression on spectators - which must have had the same effect on the jury. After only an hour and ten minutes, the jury returned a verdict of guilty. Shue was sentenced to life in prison. For him, that meant only three years time because Shue died on March 13, 1900 as the result of either measles, mumps or pneumonia which swept through the West Virginia State Penitentiary in Moundsville, WV, that year. His body was interred in the nearby Tom’s Run Cemetery in an unmarked grave. No trace of Mr. Shue exists today. Mrs. Heaster died in 1916 and never recanted her story of a ghostly visit from her dead daughter. Perhaps what is most remarkable about the death of Elva Shue and the conviction of her husband is this was the first and only time in US history that testimony from a ghost was allowed to stand as evidence in a court case. I chose this story as my first to share here, because I grew up in West Virginia, not far from Greenbrier County. In the 20 years I lived in the Mountain State I had never heard the story of Elva Shue. Were it not for a historical marker that I happened to stop and read during a visit home I may never have known she’d even existed, nor that she holds a place in history for her ghostly testimony. It was her story that inspired Uncovered History. To never miss a tale!